When a lost or injured person is threatened with bad weather or life-threatening injuries, time is of the essence. A well-trained and well-equipped rescue team buys us that time. Every second saved can save a life. Originally established as part of the Chelan County Sheriff’s Office, in 2016 CCVSAR became a registered 501(c)(3) non-profit organization. 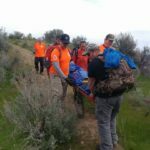 We responded to approximately 40 incidents a year where someone in the backcountry was hurt, lost, or missing, and they needed potentially life-saving help. Our 60 members volunteered 5,500 hours in 2017, saving taxpayers over $140,000. Our organization is entirely funded by grants and donations from the public. Without financial support from the community we cannot fulfill our mission. These donations go directly toward providing training for our members and dogs, rescue equipment, and funding our public education outreach program. Please support CCVSAR with your donation today. 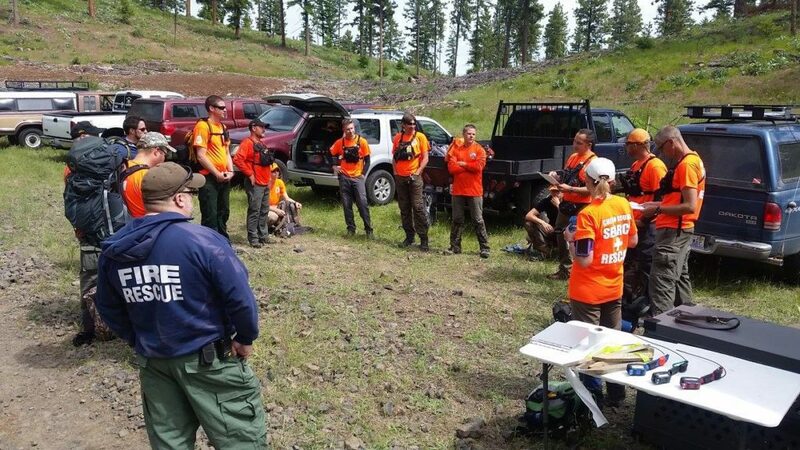 Each CCVSAR volunteer needs training & equipment to safely and effectively respond to incidents. Hosting and attending local and regional training program builds skills and relationships with partner organizations, which ensures a well-coordinated response to emergency incidents. Sometimes our volunteers also have to travel to other parts of the country for training and certification, and your donations help cover those travel and training costs. When we are responding to a call for help, the right equipment is critical for supporting our volunteers and for helping to protect victims during transport. The dogs in our growing K9 unit are essential to effective, timely search and rescue operations. These dogs work hard in challenging environments and in potentially hazardous conditions. 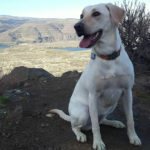 CCVSAR currently has one wilderness-certified dog who is also working on advanced certifications for urban & cadaver disciplines. We have 2 new dogs working toward their initial certifications. Intensive Training: Each new K9 and their handler spend 1000 hours over a 2 year period training to reach mission ready status. Some of this training requires traveling to other counties and states to gain the necessary knowledge and experience. K9 Equipment: Our responding incidents during extreme hot or cold weather, and other hazardous conditions could make the dogs vulnerable to harm. Booties, life vests, GPS tracking collars, reflective vests and kennels, other equipment help us protect the dogs. Canine medical insurance: Our dog need medical care to keep the health and mission ready. They all get annual shots and exams. Unfortunately illnesses and injuries can happen. Costing approximately $40 per dog per month K9 canine medical insurance helps us ensure that if a dog becomes ill or injured, we can provide proper medical care. 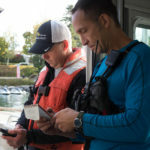 During any rescue or emergency situation, communication is essential. 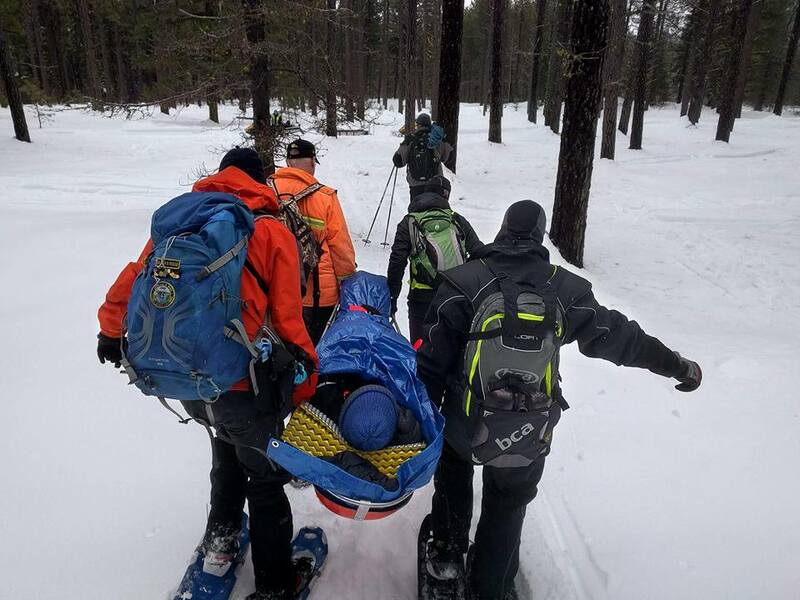 Seconds count, and we are often coordinating volunteer rescuers through difficult weather conditions and across miles of rugged backcountry terrain. Your donation can help us buy and/or create educational materials to hand out at community events, such as safety stickers, whistles (to help rescuers locate a victim), and cards listing the “10 essentials” of backcountry gear. We were recently able to procure a used vehicle that will become our new Mobile Command Post vehicle. However, much work still needs to be done to fix up and customize this vehicle. When finished, this dedicated Mobile Command Post vehicle will bring all of an incident’s communication needs into one place, streamlining communication and minimizing errors. It can also help us link together all responding organizations when multiple agencies are on site, as well as enable GPS tracking and satellite communication. We are trying to raise funds to purchase and equip a used communication vehicle, at an estimated cost of approximately $20,000. CCVSAR is an exempt organization as described in Section 501(c)(3) of the Internal Revenue Code. All or part of your gift may be tax deductible as a charitable contribution. Please check with your tax advisor.